In the NBA, the Memphis Grizzlies finally closed the door on their series against the Portland Trailblazers. The Grizzlies don’t look as polished as they did to open the season, but they will still give the Golden State Warriors headaches in the second round. Expect that to be an amazing series. Elsewhere in the NBA, the Oklahoma City Thunder have moved on from long-time coach Scott Brooks, and now they’ve found their replacement, and it’s a very interesting choice. It’s still not official, but apparently they want to sign a multi-year deal with Billy Donovan, head coach of the University of Florida basketball team. Donovan turned that program completely around, leading Florida to back-to-back championships. And since then, they have always been competitive both in the regular season and the tournament. He’s good with young players, and this could be a perfect marriage. However, it could also fall apart, as Donovan might only be good at the college level. 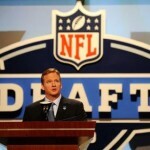 Thursday is the NFL Draft. 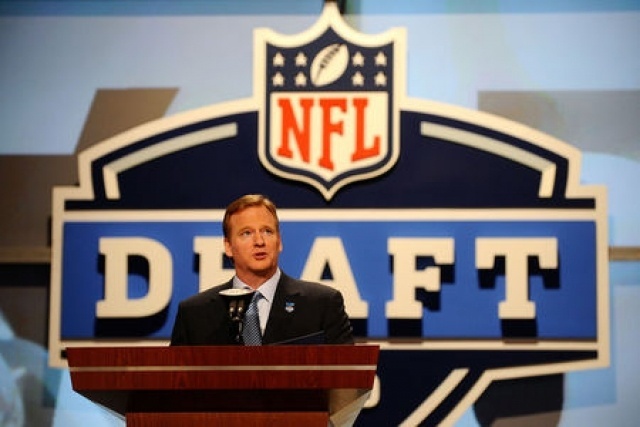 The big mystery is whether or not the Tampa Bay Buccaneers will take a chance and draft QB Jameis Winston with the #1 overall pick. It’s also a classic nervous case of should they take Winston, the proven guy with behavior issues, or QB Marcus Mariota, the Heisman winner who may be a bit of a project. Also, the Cleveland Browns are reported to be actively seeking a trade to move up to the 2nd pick to draft Mariota. That would signal a quick end to the Johnny Manziel era, as they would probably ship him out of town. It’s going to be a drama filled night, and is definitely worth checking it out. In the NBA, Houston was looking to finally bury their rivals. The Dallas Mavericks pretty much collapsed and even though they won one game, they still seemed to be on life support. With the series back in Houston, James Harden came to play in MVP form and put up 28 points to help them cruise past the Mavericks. The Rockets now await the winner of the Spurs/Clippers series. Houston 103, Dallas 94. Speaking of the Spurs/Clippers series, the teams met Tuesday night for a crucial Game 5 clash with the series tied at 2 games a piece. History says that the team that wins Game 5 of a 7 game series wins the series 82% of the time. The Clippers came out red hot as they always do, with power dunks from Blake Griffin and DeAndre Jordan, but in the second half, the Clippers seem to have a way of just melting. The Spurs took advantage of some late game sloppiness, and snuck away from LA with the win. So they lead 3-2 with the series headed back to San Antonio. But you can’t count a super talented team like the Clippers out just yet. San Antonio 111, LA Clippers 107. Finally, in some news out of Baltimore, the Orioles will play the White Sox Wednesday in what will be a first in the history of baseball. 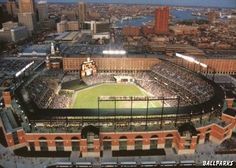 Because of the riots and strife in Baltimore, the two teams will meet at Camden Yards and play a game that is not open to the public. So they will be playing competitive baseball in a stadium that fits 46,000, but there won’t be a single person in the stands. So that means no cheering ovations, no boos, not even a peep. What a strange affair for both teams. In the NBA, the Brooklyn Nets have suddenly come alive this post season. They are clicking at just the right time, and on Monday, they put up a marvelous performance against the Atlanta Hawks to even the series at 2-2. Keep in mind this is a #1 vs. #8 seed, and the Hawks really have their hands full with a resurgent Deron Williams and seemingly unstoppable Brook Lopez. It’s too early to call an upset, but the Hawks better get their act together when they go back to Atlanta for Game 5. Brooklyn 120, Atlanta 115. And in Chicago, everybody had the Chicago Bulls moving on quickly from the Bucks to take on LeBron and Cleveland in Round 2. But the Bucks weren’t interested in just being practice for the Bulls — they are putting up a fight! The Bucks have some amazing young weapons in the Greek Freak and Michael Carter-Williams and are making it difficult for the Bulls to get into a groove. The Bucks grabbed the win in Chicago and will force a Game 6 back in Milwaukee. This series could shockingly go 7 games? Milwaukee 94, Chicago 88. Finally, Portland has been unimpressive this post-season, not putting up much of a fight against a Grizzlies team that is clearly too much for them. But on Portland’s home court, Damien Lillard and the Blazers had no intention of getting swept. Lillard put up 32 points and helped erase a 10-point lead to give the Blazers their first win of the series. The series is headed back to Memphis now. This series isn’t over. Portland 99, Memphis 92. The rioting near Camden Yards after the Freddie Gray funeral caused Monday night’s game between the Baltimore Orioles and the Chicago White Sox to be postponed. In the NBA playoffs, the Los Angeles Clippers faced potential doom and an early exit against the San Antonio Spurs, but on Sunday, the Clippers bounced back. Chris Paul and Blake Griffin played marvelously and took back home court advantage. The series is now tied at 2 games a piece with Game 5 heading back to LA. Chris Paul and the Clippers are out to prove that they should be taken seriously in the playoffs. LA Clippers 114, San Antonio 105. Elsewhere in the NBA, the Washington Wizards were playing terrible basketball after the all-star break. They went on several long losing streaks and appeared to lose all their mojo. They dropped from #2 in the East all the way down to #5. Plus, they were expected to get crushed by a Toronto Raptors team that had their number all season. The Wizards seem to have found their rhythm in the post-season, however, and over the weekend they completed their sweep of Toronto in convincing fashion, absolutely crushing the Raptors. The Wizards now await the winner of the Atlanta/Brooklyn series. Washington 125, Toronto 94. Finally, in Boston, the Cleveland Cavaliers may have taken care of business and swept their series against the Celtics. They didn’t come out unscathed, however. Their 6th man J.R. Smith was ejected for a flagrant foul, and likely faces at least a one game suspension. And, even worse, Kevin Love, who is playing his best basketball of the season, dislocated his shoulder. He could conceivably be out for the remainder of the post-season, if not at least a few games. If they do in fact get a surging Chicago Bulls team in Round 2, the Cavs would be at a serious disadvantage. 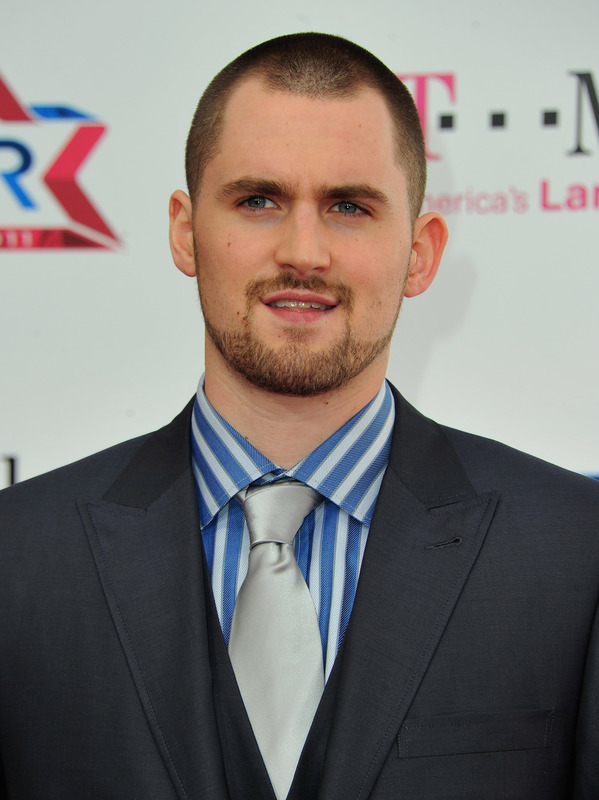 Reports on Kevin Love should come out soon. Cleveland 101, Boston 93. The Cleveland Cavaliers soared to a big playoff win Thursday night over the Boston Celtics. They now lead the series 3-0 and no Team in NBA history has overcome a 3-0 deficit in the playoffs to win that series. 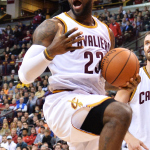 Lebron James was on fire with 31 points and 11 rebounds. 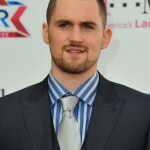 Kevin Love added some muscle with 23 points. A win on Sunday for the Cavs could close the best of 7 series. Cavaliers 103, Celtics 95. In another huge playoff win, the Golden State Warriors pulled off an exciting comeback in the last few minutes of the 4th quarter in game 3 against the New Orleans Pelicans. Trailing by 20 points early in the quarter, Steph Curry hit a 3 pointer in the last few seconds of regulation to tie the game and send it to overtime and then the win. 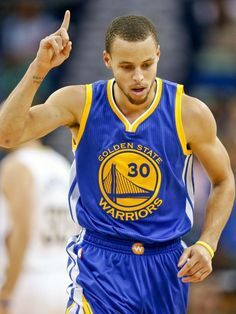 Curry certainly made a statement with his clutch 3 pointers and finishing with 40 points overall. The Warriors now also lead their series 3-0. It’s hard to imagine any team coming back against this deficit. Warriors 123, Pelicans 119. 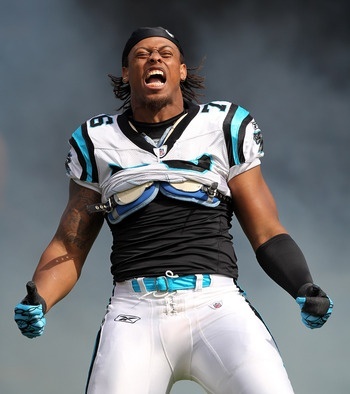 In March the Dallas Cowboys signed defensive end Greg Hardy to a one year deal worth up to $13 million. 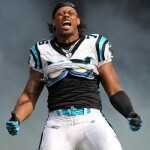 Hardy now faces a 10 game suspension for domestic abuse charges. Last year a judge ruled Hardy guilty of assault and threatening to kill his ex girlfriend, but the charges were dropped after Hardy appealed and his ex failed to appear in court. Now, the NFL says he’s suspended for “conduct detrimental to the NFL”. The San Antonio Spurs’ Tim Duncan dazzled with 28 points in a big overtime win over the Los Angeles Clippers on Wednesday night. Duncan became the third oldest player to post 20+ points and 10+ rebounds in a playoff game. Karl Malone and Kareem Abdul-Jabbar hold the other two spots. Duncan is 38 years old (turns 39 on the 25th). The series is now tied at 1-1. Spurs 111, Clippers 107. To their credit, the Boston Celtics didn’t give up Tuesday night in game two against the Cleveland Cavaliers. But it wasn’t quite enough. 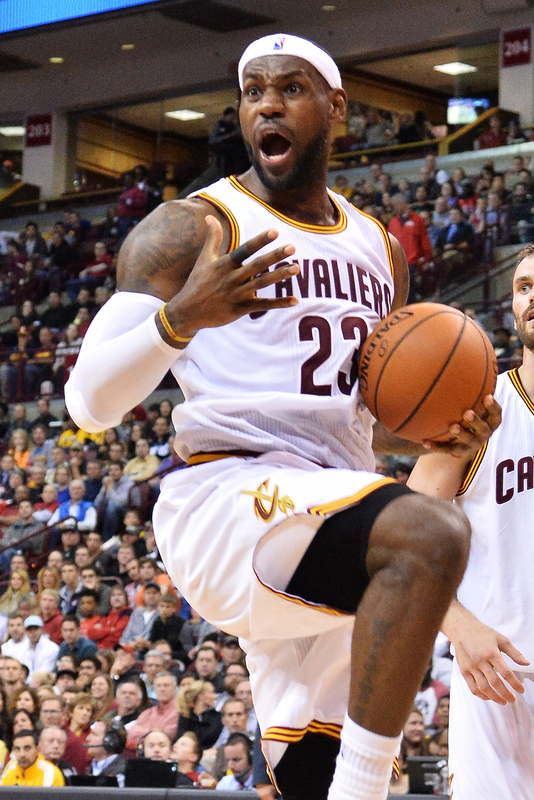 Lebron James scored 30 points (15 in the last quarter) with Kyrie Irving adding 26 points. The Cavs are now up by 2 and the series heads to Boston. Cavs 99, Celtics 91. 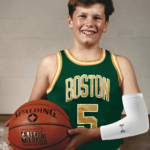 New England Patriots’ QB Tom Brady wanted to show some support to the Celtics so he tweeted a photoshop of him as a kid in a Celtics uniform. 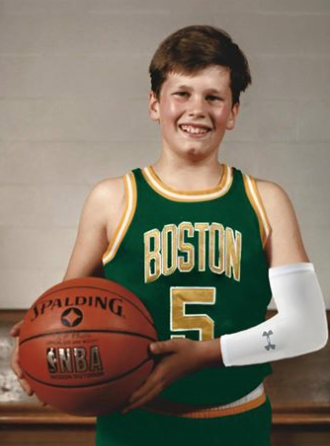 You can’t mistake that Brady smile…adorable photo! In other NBA playoff news, the Houston Rockets’ Dwight Howard and Josh Smith went dunk crazy to send their Team to a 2-0 series lead over the Dallas Mavericks. Howard and Smith used to play together as high school buddies on an AAU summer squad. Rockets 111, Mavs 99. 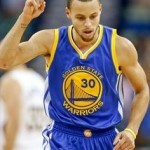 The Golden State Warriors came out strong in game 2 of the playoffs with a win over the New Orleans’ Pelicans. It’s the 20th home victory for the Warriors. Steph Curry played his normal solid game with 22 points and Klay Thompson finished with 26 points. The series now heads back to the Smoothie King Center for a must win game 3 for the Pelicans. Warriors 97, Pelicans 87. 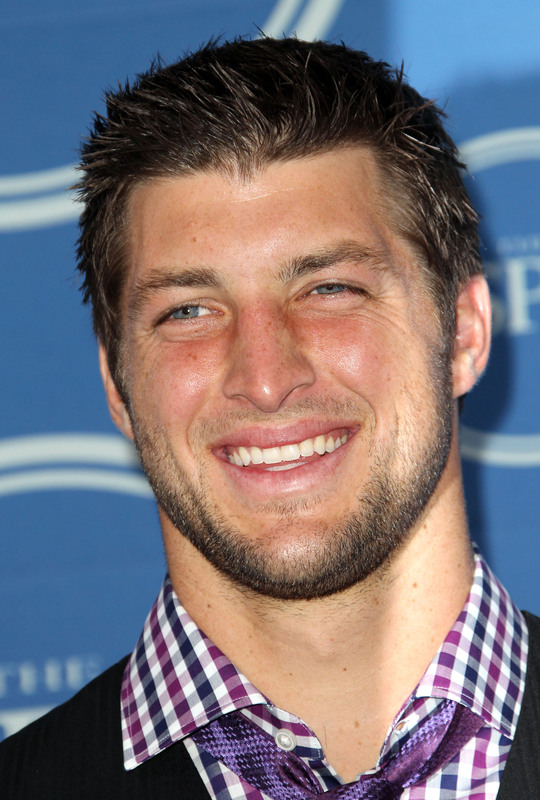 The Philadelphia Eagles plan to sign Tim Tebow for next season. Tebow has not played since 2012 when he was with the Jets and spent last season as a correspondent for Good Morning America. Tim’s heyday was in 2011 when he helped quarterback the Denver Broncos to the playoffs. In his playoff debut, Kyrie Irving hit on all cylinders with a game high 30 points to lead the Cleveland Cavaliers to a win in the first round against the Boston Celtics. Kevin Love assisted his teammate with 19 points and 12 rebounds and Lebron added 20 points, 7 assists and 6 rebounds. Watch out for the Cavs the rest of the series. 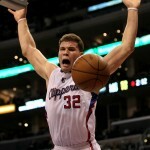 The Los Angeles Clippers looked fresh and ready for action in their win over defending champs, the San Antonio Spurs. 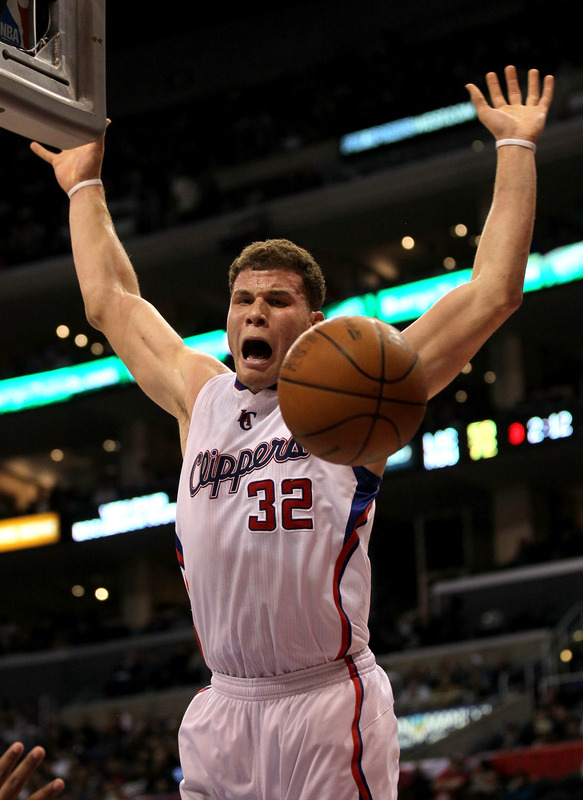 Blake Griffin came out attacking with some memorable dunks who finished with 26 points and 12 rebounds. Clippers 107, Spurs 92. In NFL news, Minnesota Vikings running back Adrian Peterson has been reinstated. Last September, Peterson was charged with child abuse. He was suspended from playing but did not receive any jail time. The judge eventually overturned the suspension and now he’s free to play. It’s unclear if the Vikings will play him or try and trade him away.